Welcome to episode Thirty Six of The Inspired Women Podcast. 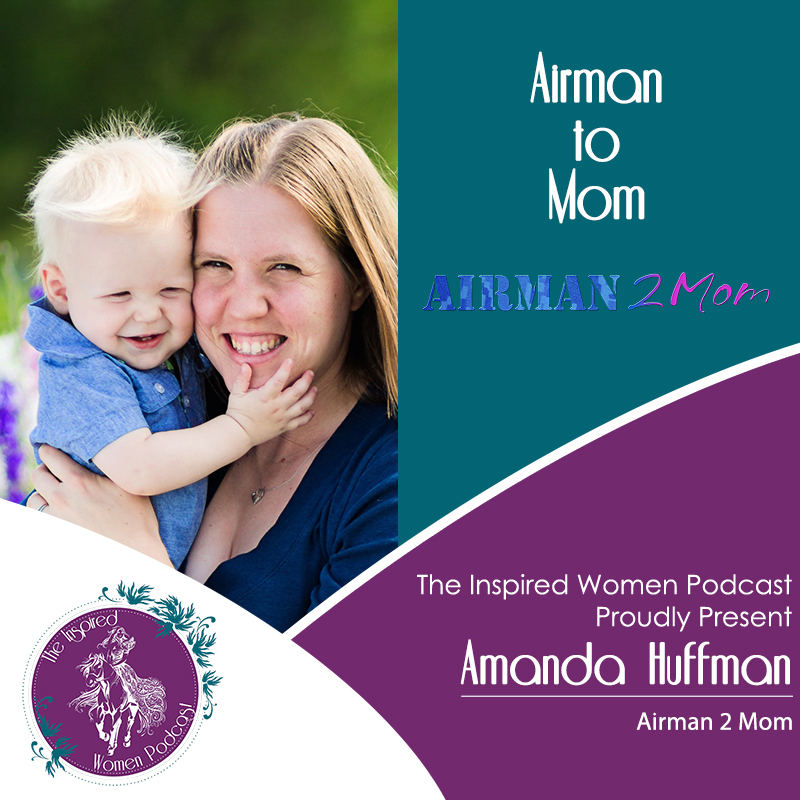 In today’s episode your host Megan Hall interviews Amanda Huffman blogger of Airman to Mom. .
Amanda is military veteran who served in the Air Force for six years as a Civil Engineer including a deployment to Afghanistan. She traded in her combat boots for a diaper bag to stay home with her two boys and follow her husband’s military career. Which currently has them stationed in Southern California, living the dream and making frequent trips to Disneyland. Her blog Airman to Mom incorporates stories from her past military life and how she views life through her unique life experiences of both a veteran and military spouse.